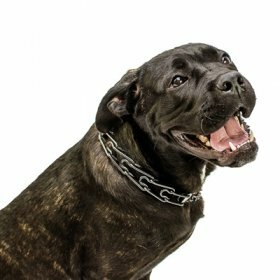 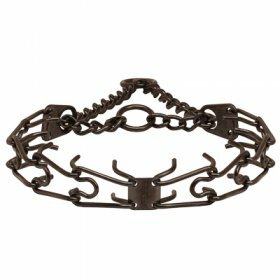 A prong collar should never be too tight on your dog. 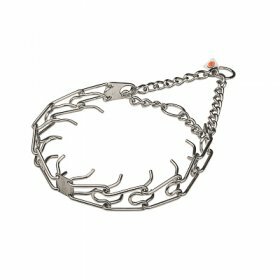 If your pet has outgrown his 4 mm black stainless steel prong collar, you don’t necessarily need to purchase a new one. 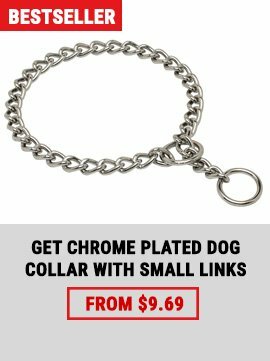 Extra links would be enough to make it fit right. 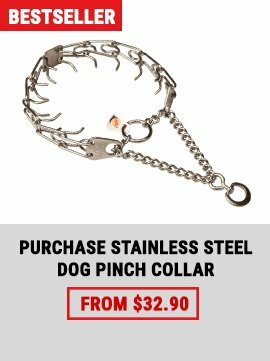 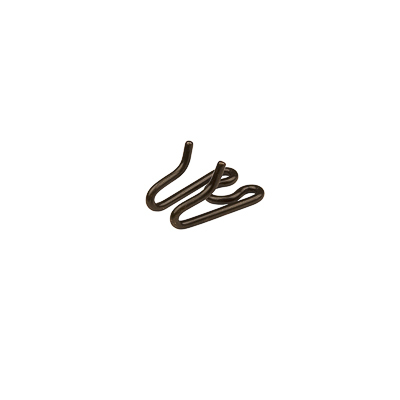 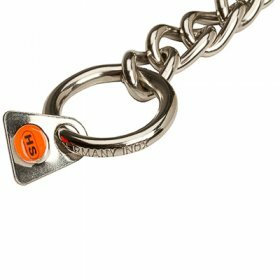 This is 4.0 mm extra link for black stainless steel prong collars (check the list of suitable prong collar in the SIMILAR PRODUCTS tab). Each link will add 2 inches (5 cm) to the total length of the collar. 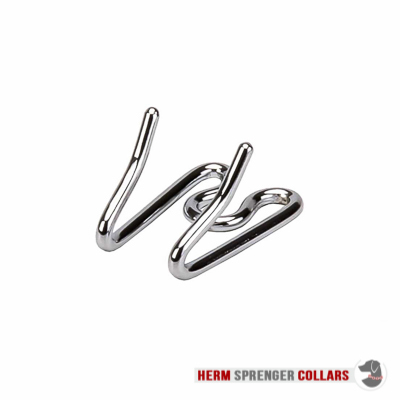 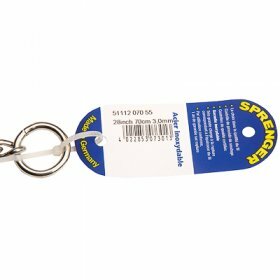 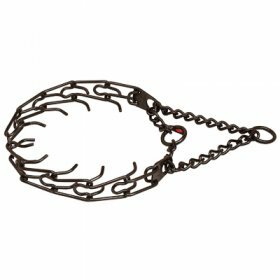 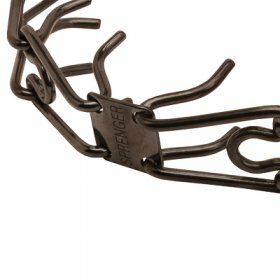 So, if you need extra links for this Herm Sprenger black stainless steel pinch collar, you can order them choosing the number of links you need in the dropdown box. 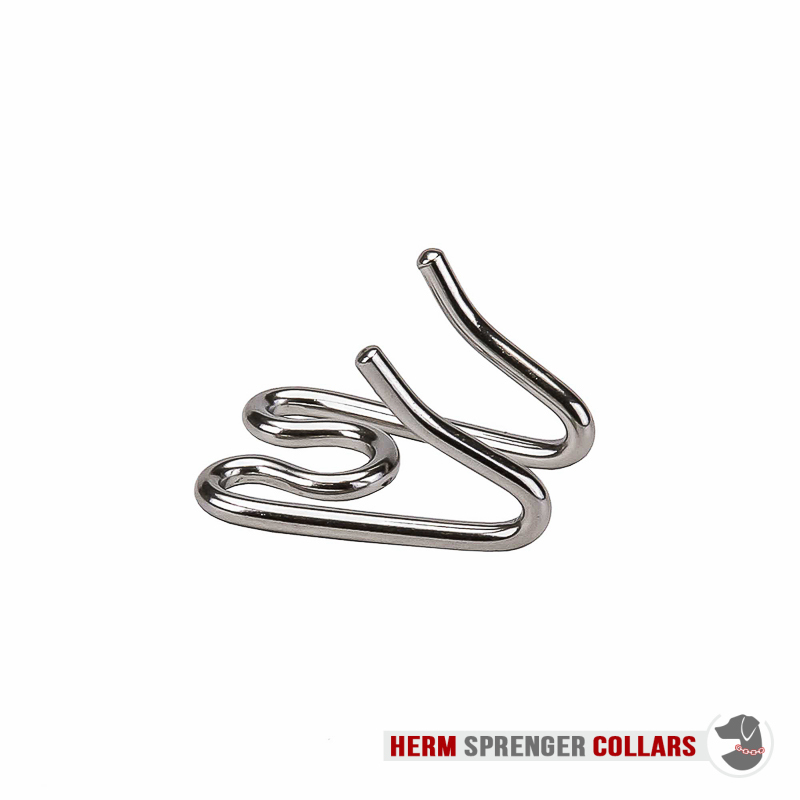 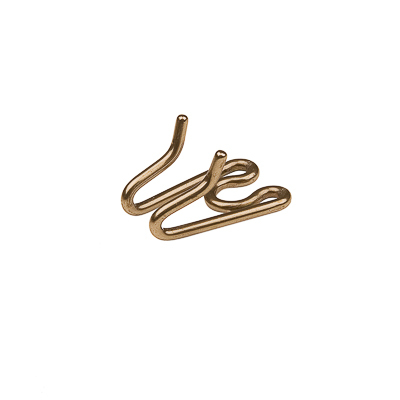 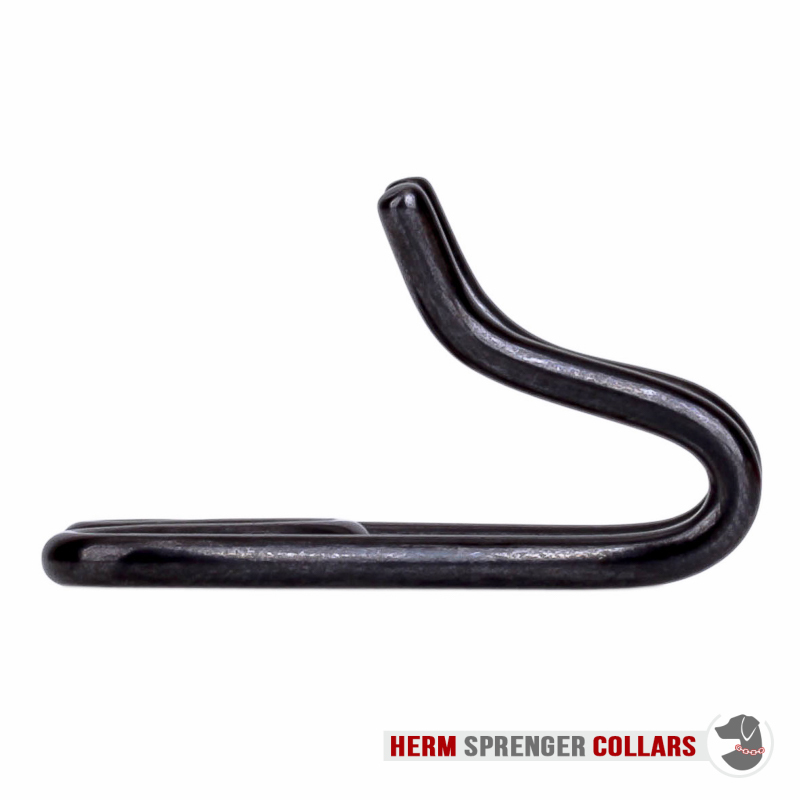 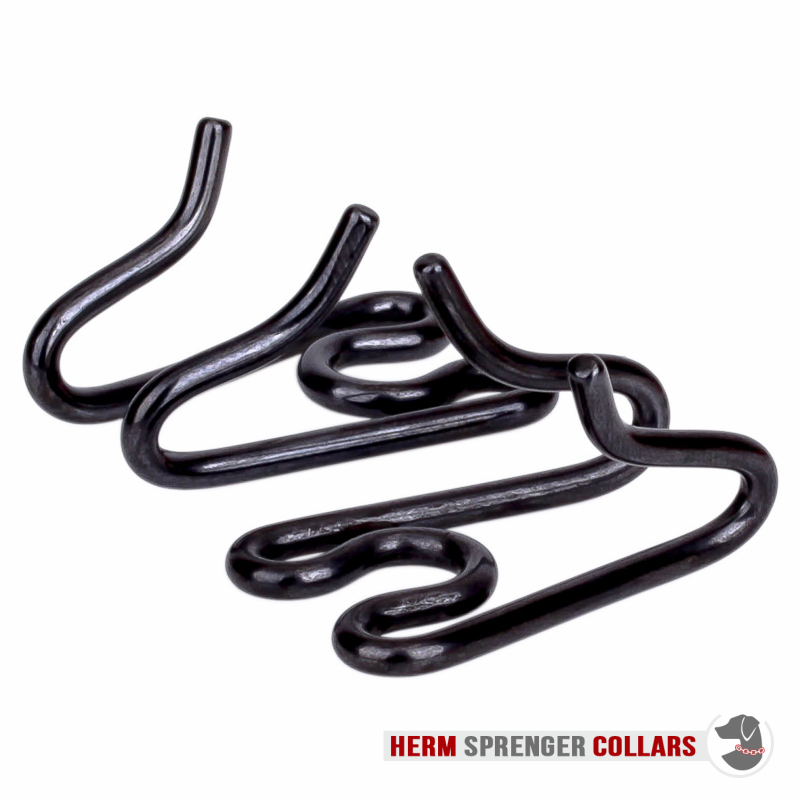 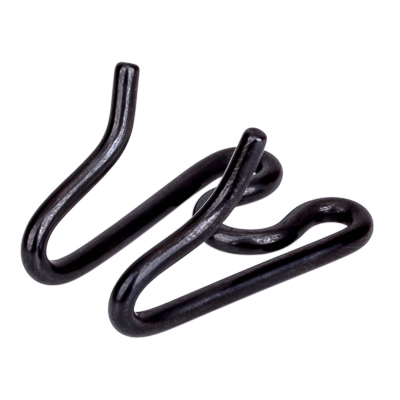 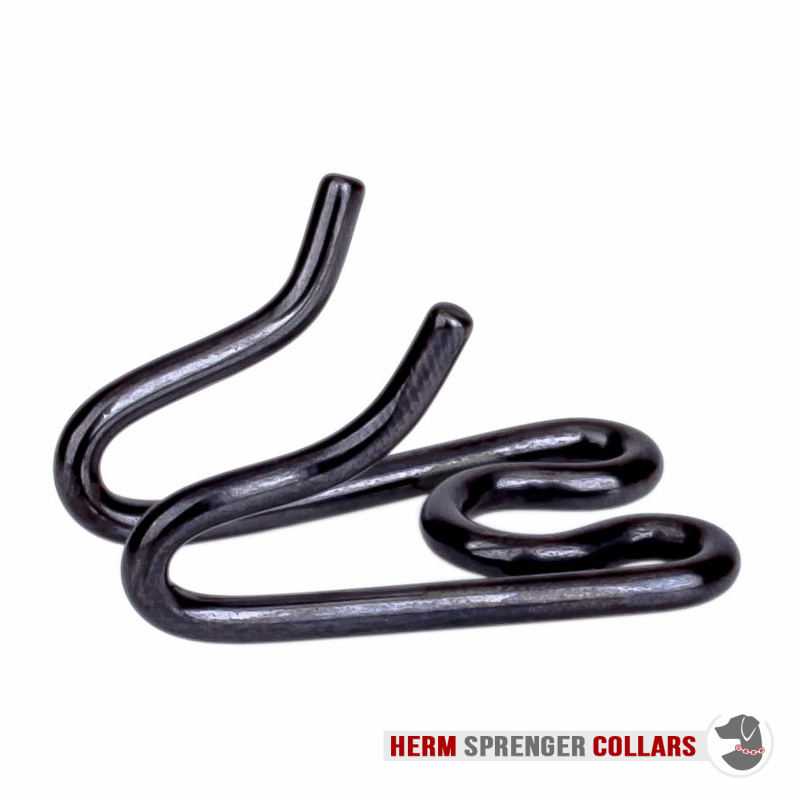 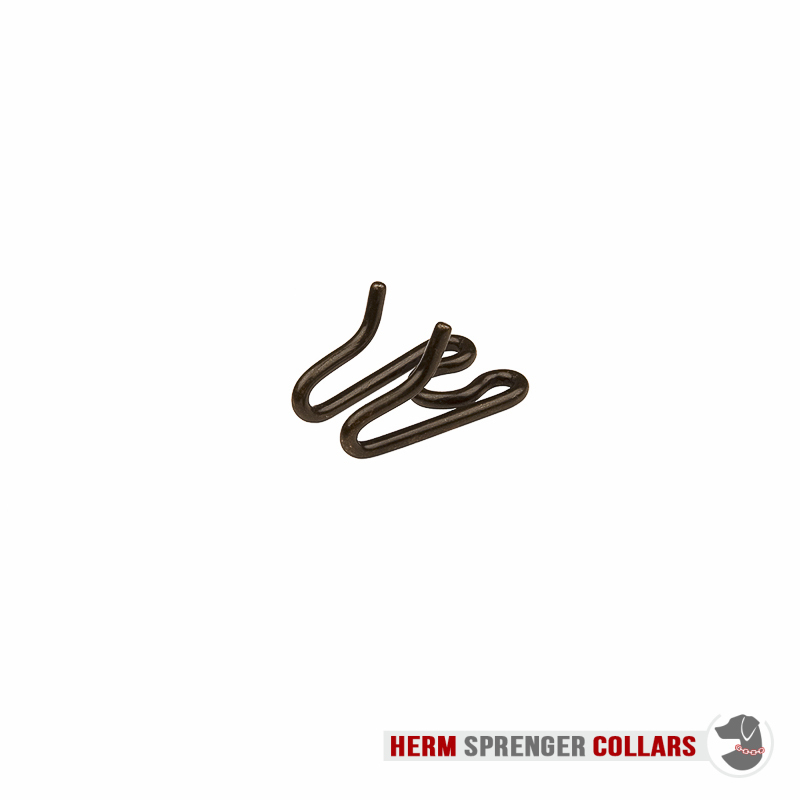 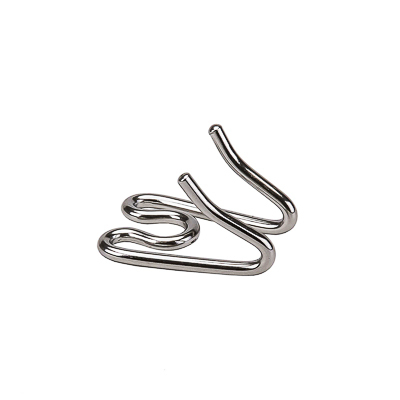 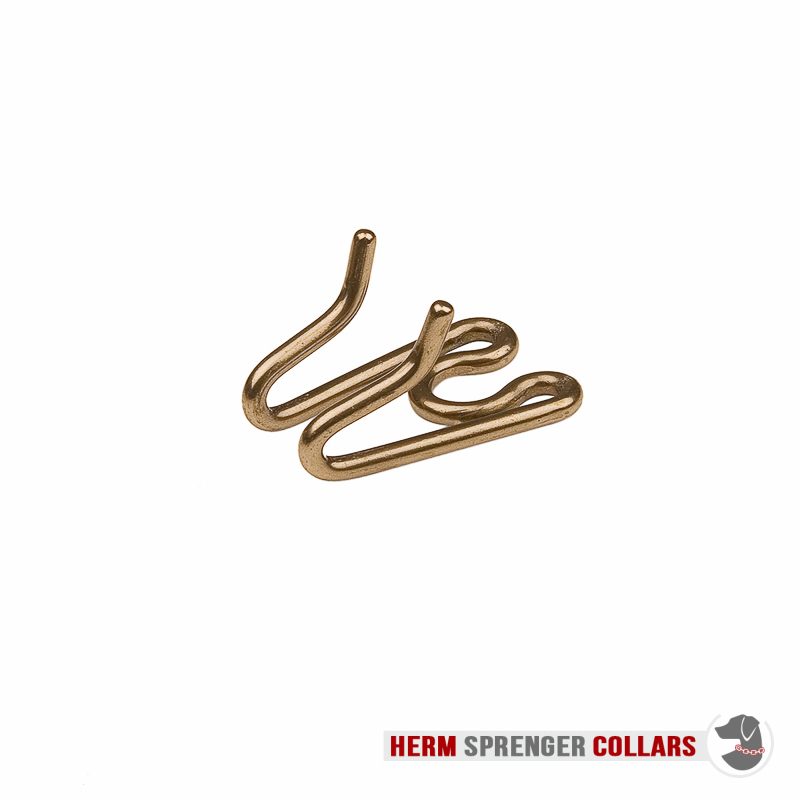 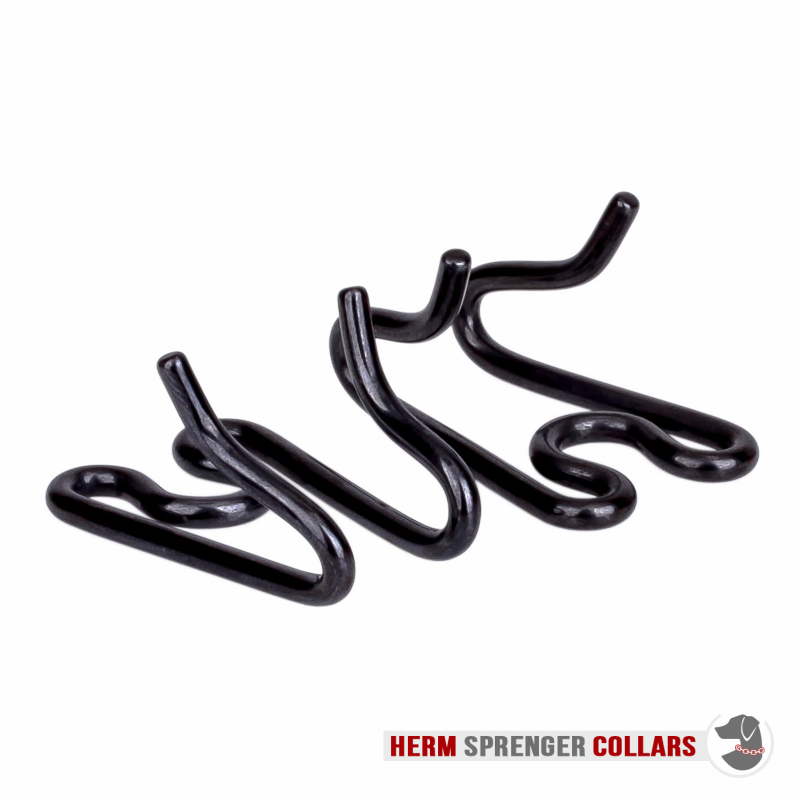 Suitable for all Herm Sprenger black stainless steel collars with 4 mm wire gauge. 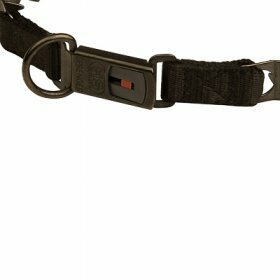 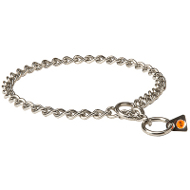 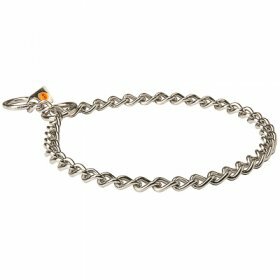 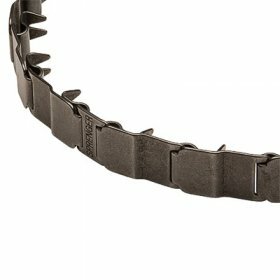 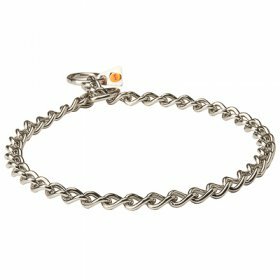 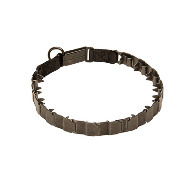 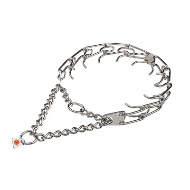 Each link makes the black stainless steel prong collar 2 inches (5 cm) longer with no need to purchase a new one. 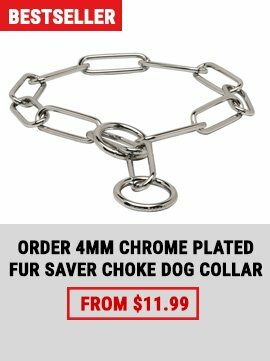 Save your money - about $55. 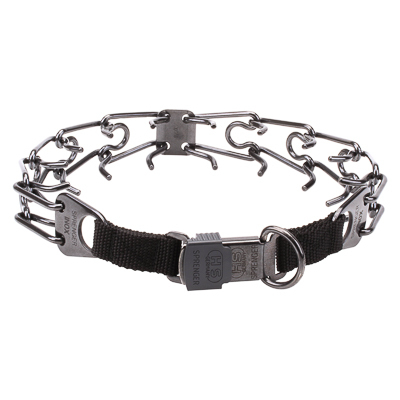 Suitable for dogs with 21 inches (53 cm) neck size and weight up to 154 lbs (70 kg).